Allows you to view your video and record at the same time. 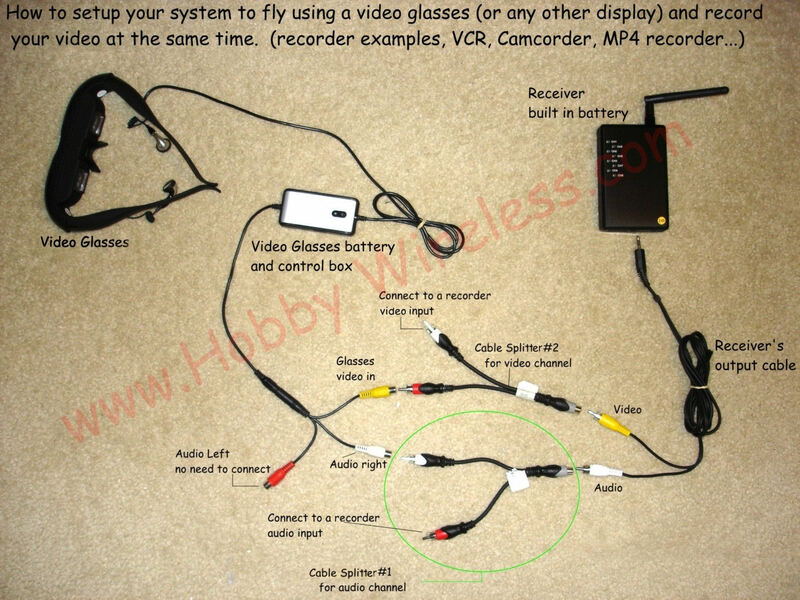 Note: The split cable receives one signal and splits in 2 signals, one for each device (e.g, video glasses and video recorder). If you need to split audio and video, you will need two cables, one for audio and another for the video signals. Here is an example on how to use the splitter cables.